We travel the world to connect with you! 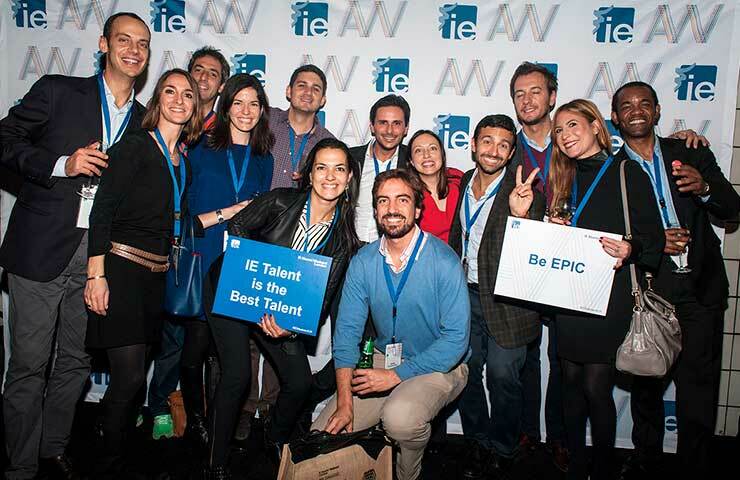 IE Alumni Weekends are the perfect way to reconnect with your peers and continue building relationships through shared stories, insights, and business experiences. These events take place in business hubs around the world, including Miami, Hong Kong, London, Dubai, Mexico, Singapore, and Los Angeles. 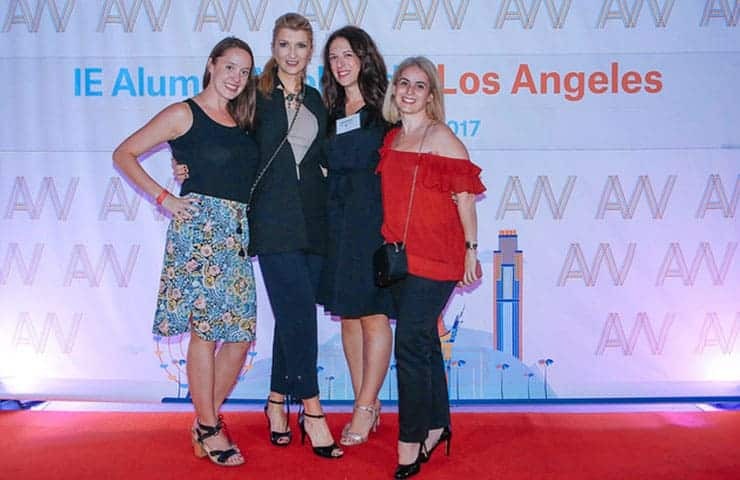 Meet with other alumni at these exclusive gatherings and participate in knowledge sharing and networking. Dates for the 2019 Autumn Alumni Weekend will be available soon. 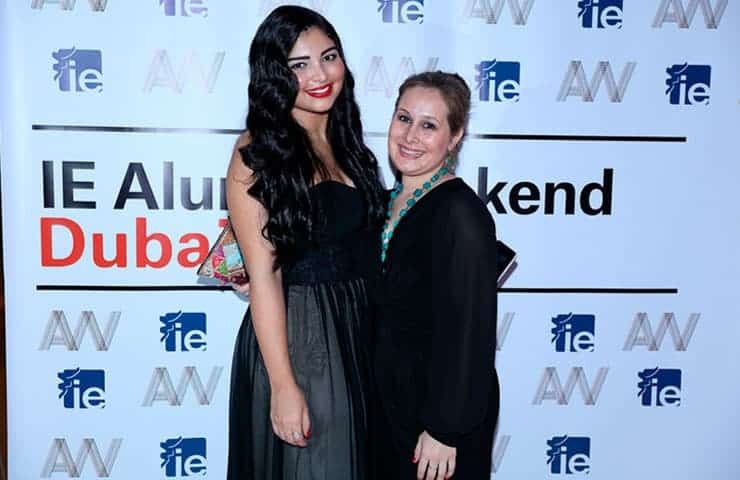 Alumni Weekend Autumn 2018 - Beirut "Rebuilding the Future"
At the Alumni Weekend Beirut our alumni were able to meet and network with the agents who are leading the change and reshaping the future not only in Lebanon, the Middle East and Africa region, but the whole world. The Alumni weekend touched on different areas including the Tech industry, Digital Transformation, Tourism Innovation and Women Leadership. 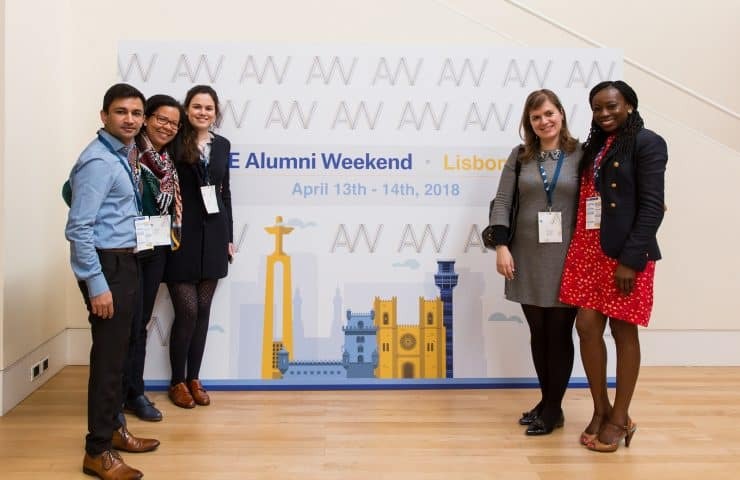 Alumni Weekend Spring 2018 - Lisbon, "A Smart New World"
In this Alumni Weekend, we discussed how the newest technologies (artificial intelligence, big data, and machine learning) can be used to overcome some of the public challenges our countries and economies are facing right now, from the democratic crisis and the boom of populism, to the wealth distribution and the increasable high life-expectancy. Finally, it will aim at charting a route map to ride the transition to a smarter world, one with a healthier economy, healthier politics, and a healthier society. 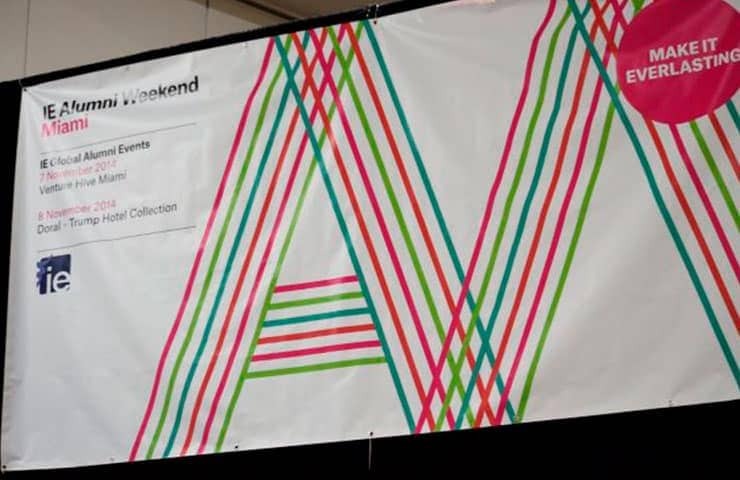 Alumni Weekend Autumn 2017 - Los Angeles, "The Good Life"
The 7th edition of IE Alumni Weekends entitled “The Good Life,” took a deep look into the changes we can all make in our personal and professional lives in order to achieve "the good life." The event also considered the social changes that need to be made for us all to enjoy life to the fullest. 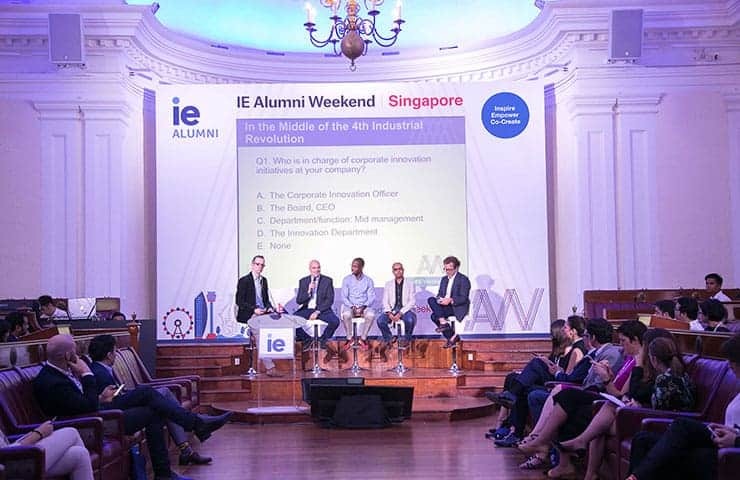 Alumni Weekend Autumn 2017 - Singapore, "The 4th Industrial Revolution"
At the 6th edition of IE Alumni Weekends, participants discussed the 4th Industrial Revolution. The event focused on topics such as the future of work, machine learning, artificial intelligence, and robotics. 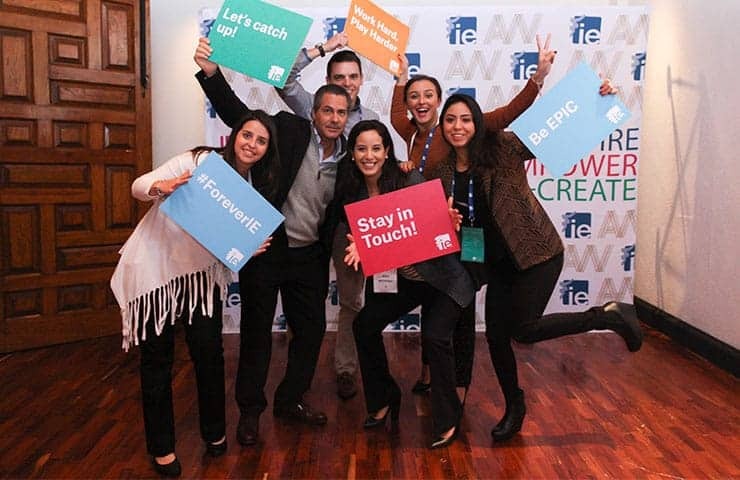 Alumni Weekend Autumn 2016 - Mexico City, "Digital Progress, Human Success"
The 5th edition of IE Alumni Weekends contemplated the ways in which digital transformation continues to change perspectives and transform businesses, individuals, and societies. 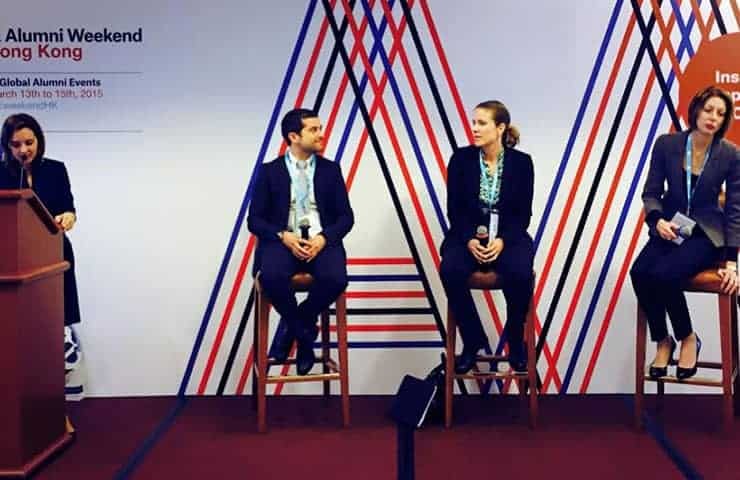 Participants discussed how digital transformation offers a new way of seeing the world, and its broad impact on everything from customer management to the most complex processes in industry and services. 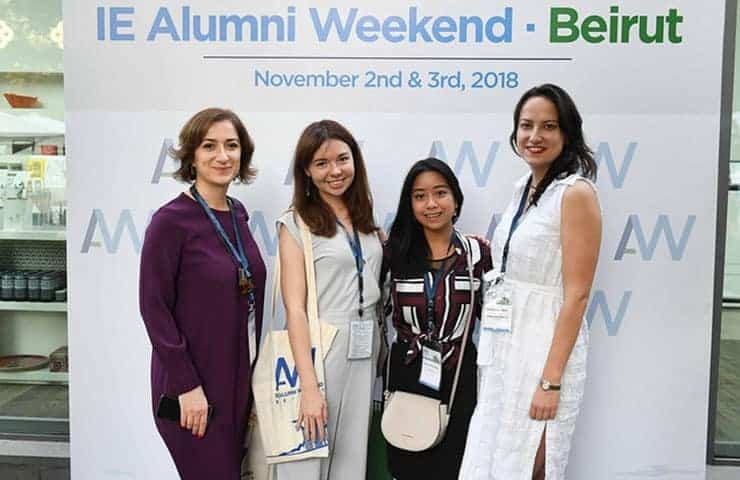 The 4th edition of IE Alumni Weekends held in Dubai, covered a 360 degree view of the Middle East, examining macro topics such as human capital, managing diversity, security challenges, and the impact of the media on society. The theme at the 3rd edition of IE Alumni Weekends was “The Art of Disruption.” As Madeleine Albright said in a 2014 interview with CBS news, “To put it mildly, the world is a mess.” This sentiment, that the world is a “crazy place,” and that we are living in peculiar and exciting times, was considered and discussed at this edition of IE Alumni Weekends held in London. 2nd edition of IE Alumni Weekends. 1st edition of IE Alumni Weekends.